Generally ‘ bacari’ are featured by a correct price/ quality ratio and for each tavern has been drawn up a card where you can find also the price of ‘ombra’ ( a glass of wine). In order to get the above mentioned wine, please remind to ask always for a red or white’ombra’ as sometimes the ‘wine of house’ are not written on the blackboard where normally you can find the more expensive type of wine. Please remind also that sometimes groups of friends like‘bachelor of hen parties, are not welcomed due to episodes of cackles and due to the recent tendency to curb the mass tourism …..
To find them without fail! 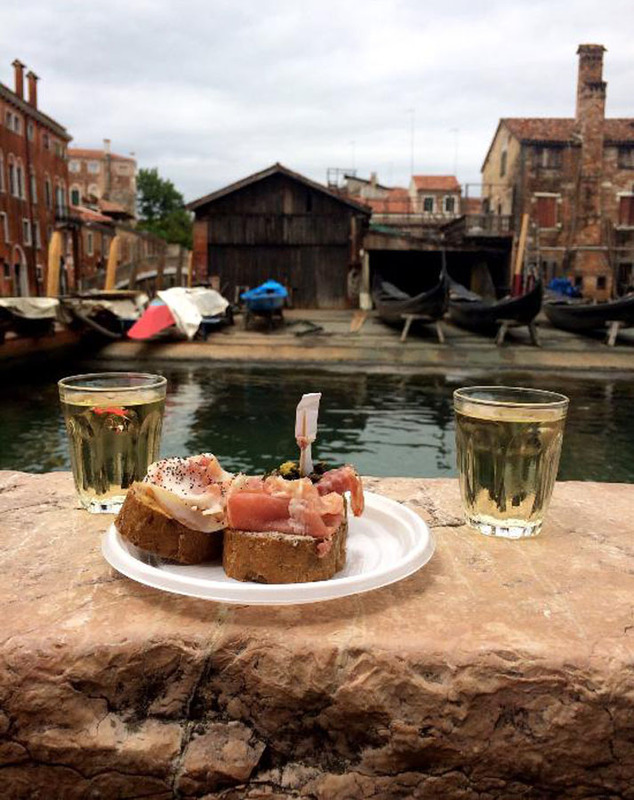 You can download the map with a donation of 0,99 euro and you will visit Venice and get surprised your friends, bringing them to a specific ‘bacaro’ or another , and enjoying all the pleasure moments without worrying about to find out them in a traditional map. The map is linked to google-map for a fast and accurate detention of the selected’bacaro’. It is useful for all people who don’t know the city and so you can avoid to waste a lot of time triying to find out your favourite place desperately.